Upon the initial release of the Nike React 55, the silhouette quickly became a hit. 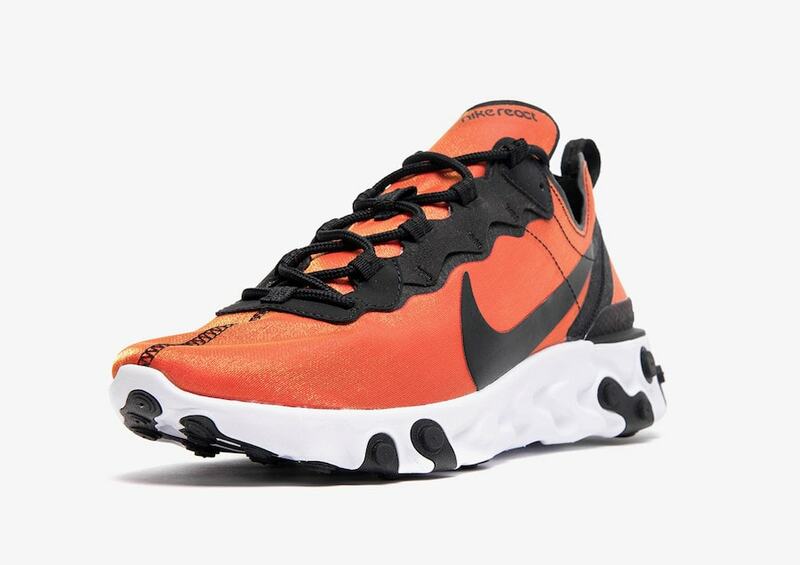 Now, a new colorway is on the horizon as the sneaker takes on a bright Shimmery Orange. It seems as if Nike has been rolling out new versions of the React 55 almost every month. The increase of releases has not stopped many fans from picking up a pair as there’s always a fresh new colorway on the futuristic sneaker. 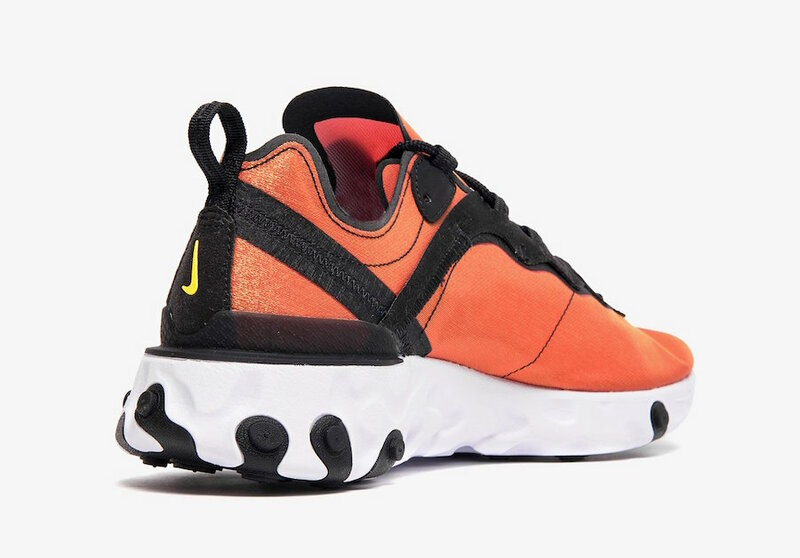 Today we have our first look the Nike React 55 PRM in “Tour Yellow” and “Orange” that is set to release next month. 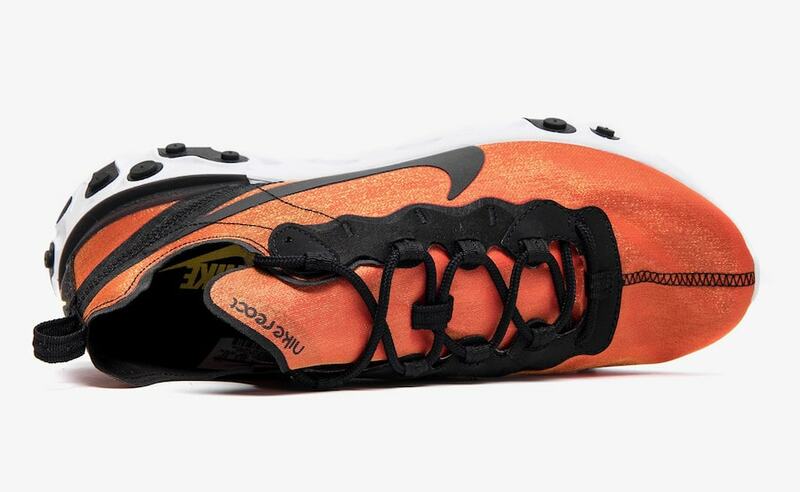 First, the upper consists of shimmery orange and is accompanied with a black Nike Swoosh. Yellow accents can be seen on the shoe especially the heel tab and insole. 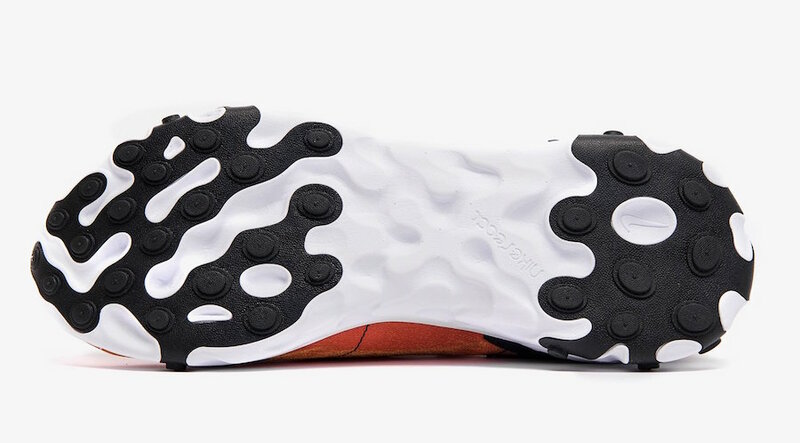 Finally, finishing the look is a traditional white and black Nike React outsole. 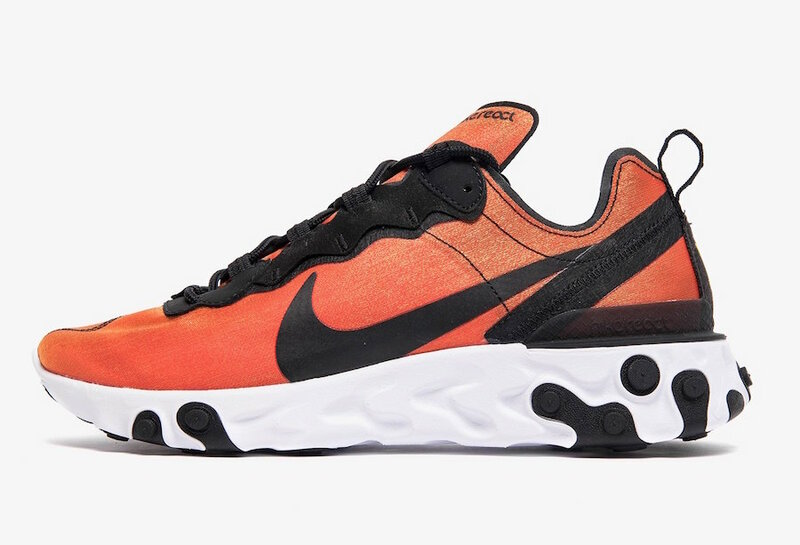 If you’re looking to pick up a pair, you can expect the “Tour Yellow” and “Orange” colorway to release on May 2nd, 2019 at select retailers and Nike.com for a retail price of $130. 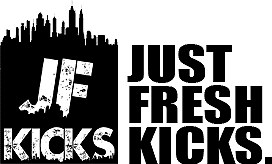 Check out more pictures below and stay tuned to JustFreshKicks for updates.